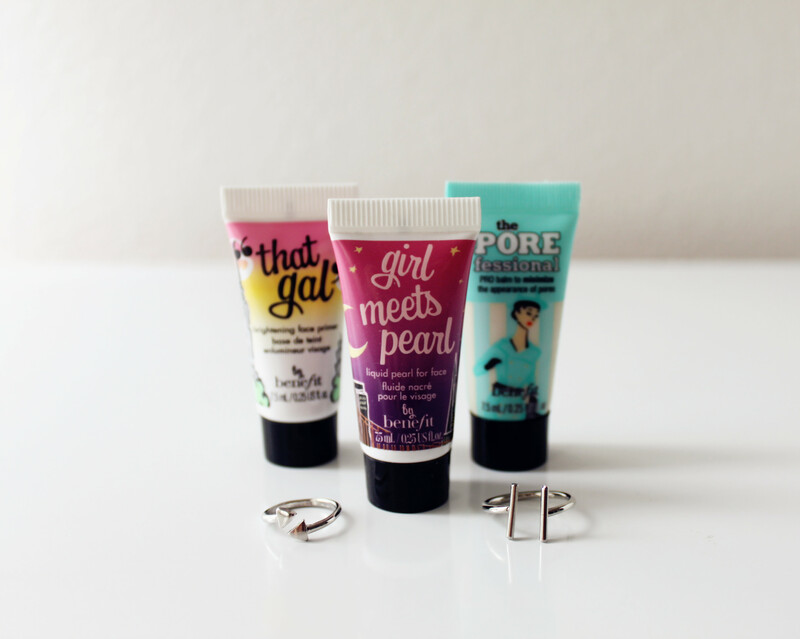 October 12, 2015 October 13, 2015 / Elizabeth T.
I’m sure most of you have either heard of or have used Benefit’s cosmetics, and today, I’m going to be reviewing some three of their most famous products – Benefit’s Girl Meets Pearl, the POREfessional Face Primer, and ’That Gal’ Brightening Face Primer. First off, I’ll start with my personal favorite, Girl Meets Pearl, a soft, golden pink, liquid-pearl highlighter. I love wearing this on top of my makeup at the highest points of my skin, such as my forehead, my nose bridge, my cupid’s bow, my brow bone, and my cheekbones 🙂 It gives off such a natural, pretty glow, and it’s just perfect for my everyday dewy skin look! The best part – it smells really good too! 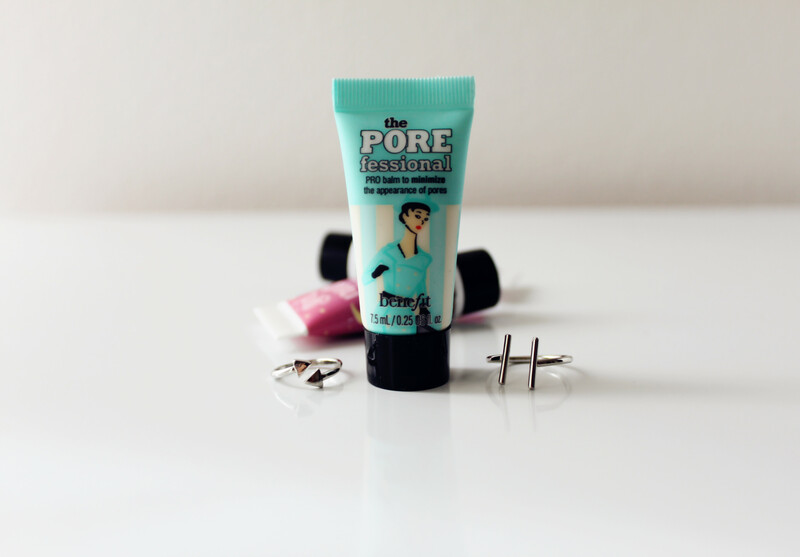 Next up is the POREfessional Face Primer, one of Benefit’s best-selling products. Boasting pore-minimizing properties, this primer claims that it smooths fine lines and helps makeup stay put. Although I really tried to like it, I felt like this product was a little drying for my skin, so rather than smoothing fine lines, it actually makes me look more flakey than I’d really like 😦 I’ve tried it a few times, hoping that I can change my opinion about it, but sadly, I don’t think I’ll be buying a full-sized portion of this. 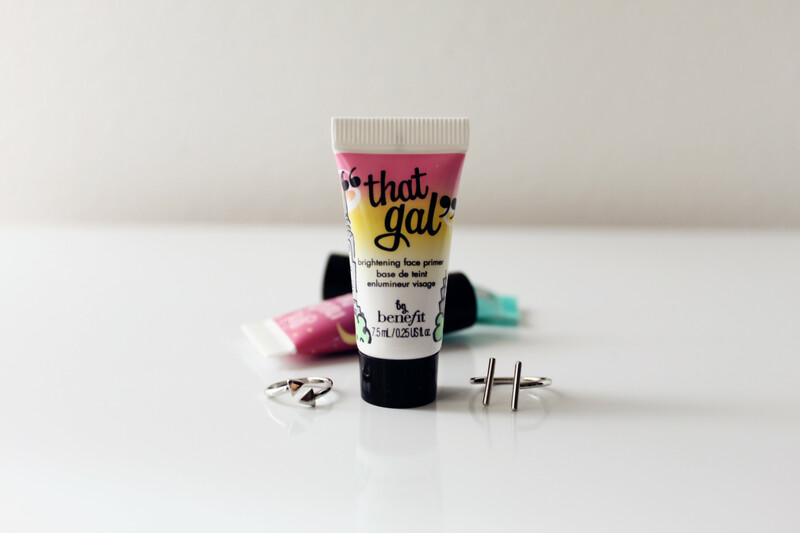 And last but definitely not least is That Gal, another primer that smooths and brightens the skin. While it wasn’t as bad as the POREfessional Face Primer, I didn’t really like it that much more either. Because my skin naturally has pink undertones, this primer actually makes me appear a little too radiant 😦 I think it’ll be great for those that have more yellow undertones, since it can really help to brighten up the skin for a fresher and more youthful look. It just didn’t really work so well for me. Next on my list of Benefit cosmetics to try is definitely their tints! 🙂 Hope you all liked this review, and I’ll be back again soon! I need that pore thingy,I’ve heard Jenim of clothes encounter rave about this product a lot,it’s sad though that it didn’t work out on you,i wanted to get this so let me ask are you is your skin dry oily or normal? ,hugs binG. im close to dry myself,i guess it will not work thanx Liz. Great review!!! Love that Girl Meets Pearl very much!!! 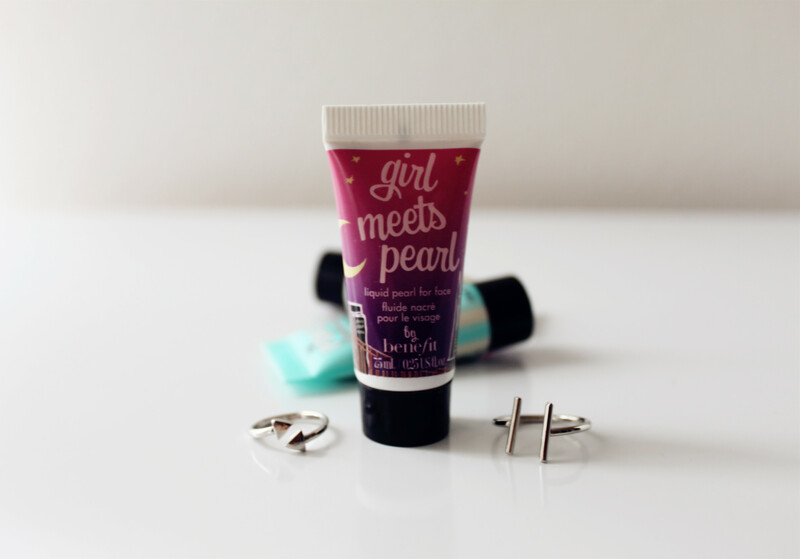 I love benefit products that give me an extra glow, so this is perfect for me. Thanks for such a great and honest review. I’ve only tried POREfessional and I felt the same way, hon. It just didn’t really do the job for me. So many people rave how amazing it is and I have tried to fall back in love with it but yeah. Girl Meets Pearl sounds amazing! Thanks for sharing this lovely review. Porefessional is the best! I definitely need to try out “that gal” very soon!